Cloud Wallet--The Cloud Wallet provides a convenient experience for users who don't have the time to devote to private key protection. Users can also take advantage of unique asset growth opportunities, earning rewards just by storing their crypto in Cobo Cloud Wallet. HD Wallet--Users can manage all of their private keys with one single mnemonic phrase. Cobo's HD Wallet supports EOS account registration, Tron on-chain voting, and is prond to be the first wallet in the world to support the Tron DApp ecosystem. Cobo Wallet provides users with maximum flexibility when it comes to private key management. For users that choose the custodial Cloud Wallet. Cobo provides state-of-the-art security measures for safekeeping their keys, including bank-standard HSM, hot-cold separation of funds, multi-signature authentication, etc. 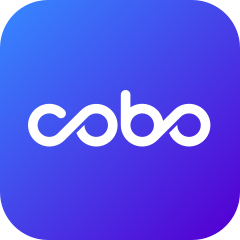 For users that prefer to hold onto their own keys, Cobo also provides in the same app a Hierarchical Heterministic (HD) Wallet with support for high-quality DApps and other decentralized services. Users can easily switch between their Cloud and HD Wallets to choose the management style best suited to themselves. Cobo Wallet supports smart voting, DPoS ticket pools, PoS staking, and other crypto asset management features. One of the largest node operators in the world, Cobo manages its own ticket pools and staking nodes on several mainstream blockchains (eg, Dash, VeChain, Tron, Decred, etc. ), taking the technical complexity out of staking for everyday users. Simply store your crypto with Cobo Wallet to start accessing our unique growth features. Cobo Wallet includes a curated selection of high-quality DApps for users to access from the HD Wallet. At Cobo, we believe that wallets will become the internet browser to a rich world of blockchain-based applications, and are working hard to establish the foundations of the DApp ecosystem. DApp developers can currently build using our Ethereum-based SDK to bring their creations to Cobo's 500,000 users around the world. Cobo will also support EOS-based development, as well as that of other platforms in the near future. Users' accounts are protected by four different layers of security, including a custom payment password, Google Two-Factor Authentication, comprehensive KYC, and SMS notification upon login or successful transaction. On the back-end, we secure user funds with a comprehensive security setup involving hot-cold storage of funds, airgapped servers, bank-grade HSM, and global distribution of keys. Cobo curently passed an independent audit by the German security research firm Cure53.